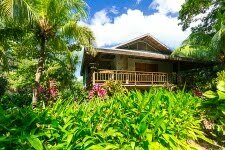 As you know from my previous posts, we recently bought a vacation rental on the beautiful Caribbean island of Roatan, The Tropical Garden Villa at the Resort at Palmetto Bay. It is a 3 bedroom, 2 bathroom Bali inspired villa on over a half acre of land set amid lush tropical gardens and just steps from the beach. Trying to update and refresh our new vacation home, I decided some new furniture in the living and dining area would help tremendously. The living room furniture was dark and had seen better days. The dining room only had seating for 4 though the house could sleep 6, plus it too was very dark and worn out. Before leaving the island on the trip where we put an offer on our home, and having heard it was accepted, we decided to stop at a furniture store on the island to see what they could do for us. At Atocha, in French Harbour, we met Nicole who was very helpful. There is not a lot of furniture on the floor as we have in stores back in the states, but Nicole gave me her card and told me to look online at the furniture of a company that she thought would fit my needs. Once we got home, I went to work. I wanted to have all my decisions made on the furniture so that as soon as we closed, I could place my order. I wanted the new furniture there when we went back in 2 months. Of course, I am completely forgetting that furniture will have to be shipped from the states, or the mainland of Central America and that will take time and money. I found some furniture I liked and contacted Nicole for a price quote. Wow, the cost was surprising and when I questioned her, she broke it down for me. It was the shipping that was causing the price to be so high. I guess I just figured the furniture store would cover the cost, ah, no. 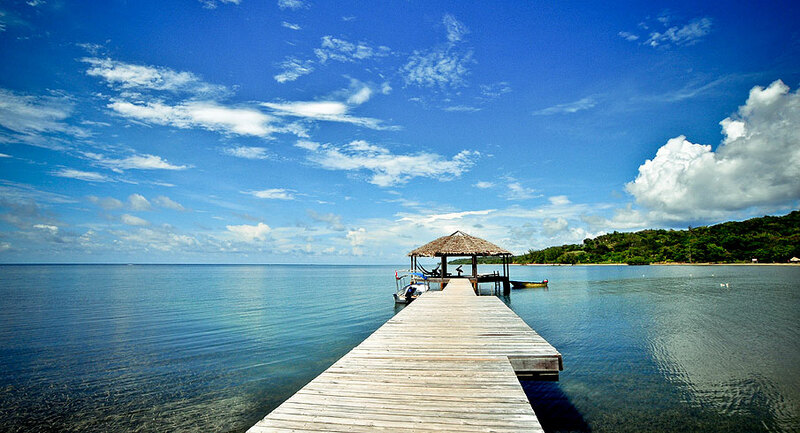 I then went to work again and looked for furniture online that shipped to Roatan, Honduras. Surprisingly, there were numerous options. However, when I investigated further, you were still responsible for all the shipping charges and while they would recommend a freight forwarder, it was still your responsibility to set everything in motion. I contacted my freight forwarder, see my blog post, Long Distance part 1, to get an estimate of the shipping charges. Well, that blew my mind when I got the estimate. I had only previously sent boxes and thus had no idea what large pieces of furniture would cost. When I added the freight charges to the cost of the furniture, it was comparable to what Atocha, the furniture store on Roatan, was charging. In addition, dealing with a local store gave me somewhere to turn if something went wrong, not so with dealing with a company in the US and shipping it myself. Also, they would deal with the shipping headache and customs, I wouldn't have to do a thing. I decided to go ahead and order from Atocha and boy was I glad I did. When I worried if the furniture would fit, I never thought to measure rooms before we left, Santana, the manager/owner, actually went to my home and took measurements. He made recommendations for the design of the space and had the furniture manufacturer send me samples of the fabric and wood finish I was interested in. Remember, I am doing all this while back in the states and it is hard for me to give up control and put my home in the hands of others. But I must say, I am glad I did. The furniture was delivered the day after we got to Roatan, and they unwrapped and set it all up. Santana even showed up during this time to supervise the placement of the furniture and make sure we were happy. Yes, we are very happy, thank you Atocha, Santana, and Nicole. When visiting Roatan, rent our beautiful 3 bedroom, 2 bath villa with private pool just steps from the beach.